Josh Cordray serves as an investment sales professional specializing in retail leasing for Matthews™. As an effective deal maker, Josh assists both landlords and tenants in full service retail leasing brokerage services. From private capital to institutional clients, Josh and his team represent a wide assortment of property types including shopping centers, high street retail, and ground up construction projects. 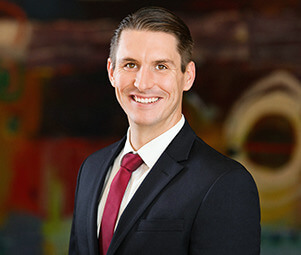 Josh focuses his expertise in the San Fernando Valley, leveraging his knowledge of the area and experience in analyzing investment strategies to create the right tenant mix. Aside from his ability to establish strong client relationships, Josh ultimately aims to drive his clients towards their investment goals. Prior to joining Matthews™, Josh worked as an Associate Manager at ESPN for six years, where he strategically managed marketing and content for the X Games brand. His position not only exposed him to a variety of professionals but also allowed him to apply his marketing expertise to fully service his clients in the marketplace.